Multi Mill Machine Manufacturer In India.. We are the largest making “Multi Mill Machine” Manufacturers from India, Multi Mill is used in different functions involving wet & dry granulation pulvensation etc. of Pharmaceutical, Chemical, Bulk drug, Cosmetic, Colors, Dyestrutts, Food products etc. The Multi Mill Machine consists of stainless steel hopper, processing chamber with beater assembly, Motor, DOL stater, three speed puley, screen and study body. We are known in the market as a leading Pharmaceutical Multi Mill Machine Manufacturer in India. Multi Mill Machine Manufacturer In India. We are the largest making “Multi Mill Machine” Manufacturers from India, Multi Mill is used in different functions involving wet & dry granulation pulvensation etc. of Pharmaceutical, Chemical, Bulk drug, Cosmetic, Colors, Dyestrutts, Food products etc. The Multi Mill Machine consists of stainless steel hopper, processing chamber with beater assembly, Motor, DOL stater, three speed puley, screen and study body. We are known in the market as a leading Pharmaceutical Multi Mill Machine Manufacturer in India. Multi Mill Machine Manufacturer. Multi Mill Machine Manufacturer In India. We are the largest making “Multi Mill Machine” Manufacturers from India, Multi Mill is used in different functions involving wet & dry granulation pulvensation etc. of Pharmaceutical, Chemical, Bulk drug, Cosmetic, Colors, Dyestrutts, Food products etc. The Multi Mill Machine consists of stainless steel hopper, processing chamber with beater assembly, Motor, DOL stater, three speed puley, screen and study body. We are known in the market as a leading Pharmaceutical Multi Mill Machine Manufacturer in India. Operation Of Multi Mill Machine : It operates on the principle of variable force swing beaters having both knife and impact edges rotating within a selected screen to get the required size reduction. Material fed in the hopper goes down to the processing chamber where it moves to the periphery and passes through the screen radially and tangentially. Finally the processed material gets collected in the container kept below the processing chamber. Output and quality of the final product depends on three main factors : (1) Shape of beaters (knife/impact edges) (2) Speed (3) Screen Description Of Multi Mill Machine : Unit consists of S.S. 304 quality hopper and processing chamber (can be provided is S.S. 316 quality at extra cost) with beaters assembly, motor, reversible switch, DOL starter, four speed step pulley, Suitable screen with painted pillar mounted on base plate, with castors. Salient Features Of Multi Mill Machine : Direction of beaters can be changed by reversible switch from knife to impact forward and vice-versa. All contact parts can be easily and quickly dismantled and cleaned. Machine is designed for continuous operation. Cylindrical screen for higher output. Castors provided for mobility.Flame proof electricals can be provided at extra cost. Beaters and scrapper blades of SS 410 quality are hardened and hard chrome plated. Multi Mill Machine Manufacturer. Multi Mill Machine Manufacturer In India. We are the largest making “Multi Mill Machine” Manufacturers from India, Multi Mill is used in different functions involving wet & dry granulation pulvensation etc. of Pharmaceutical, Chemical, Bulk drug, Cosmetic, Colors, Dyestrutts, Food products etc. The Multi Mill Machine consists of stainless steel hopper, processing chamber with beater assembly, Motor, DOL stater, three speed puley, screen and study body. 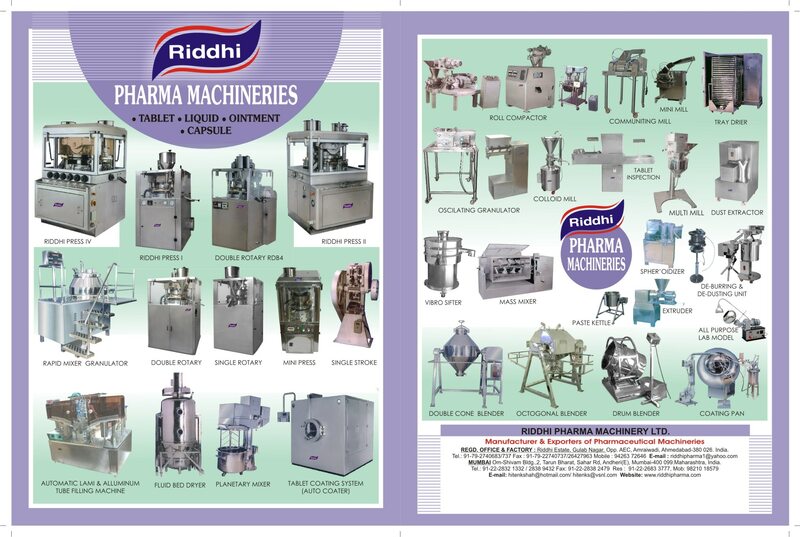 We are known in the market as a leading Pharmaceutical Multi Mill Machine Manufacturer in India.